she rulk | Full. Body. Transplant. Jeph Loeb and Ed McGuinness are the madmen at Marvel Comics responsible for the consciousness-altering reality of the Red Hulk. Today at Comic-Con 2009 they admitted that the redness is spreading. 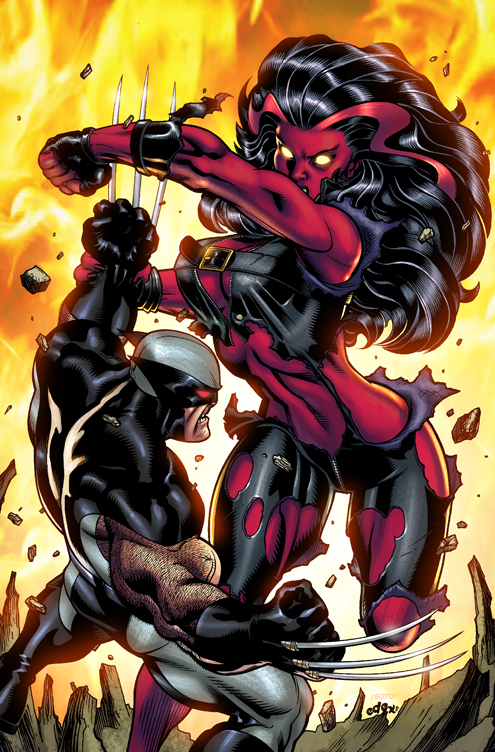 It seems that Domino and X-Force will soon be involved in unraveling the secret of the Red Hulk. Jennifer Walters goes lobster in the process. Ed did the design, but Ian Churchhill certainly made it his own. The two of them sent stuff back and forth until everyone was happy. Ed’s big contribution to it was that he wanted this big, long, flowing mane of hair that was black and had a red streak in it – sort of like the Bride of Frankenstein. It makes her look super cool. We worked a long time on what it is that she wears because we didn’t want her to be wearing what Jen wears, and we didn’t want her to be wearing a white torn shirt. What she has on is very specific. Her personality is unique and somewhat new to the Hulk mythos. We’re having an enormous amount of fun with her. 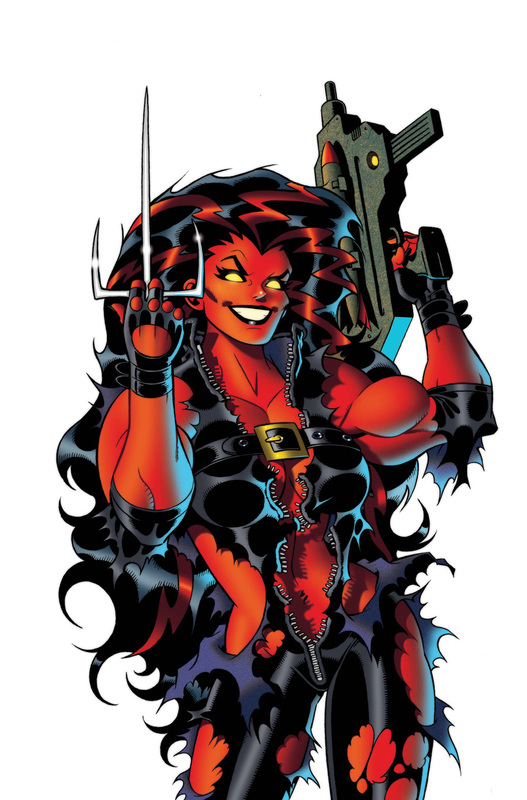 The images that were released along with the announcement provide an enormous amount of fun for the rest of us as well, and we cannot wait to see the Red She-Hulk in person. One more tease: Marvel is starting plans for a Hulk family crossover called “World War Hulks”. Large times ahead.